While searching the newswires for a new story for The Woman Condemned, I noticed that several women had stabbed their boyfriends to death within the last two weeks. March of 2017 was bad for boyfriends apparently. 27-year-old Liz Ayala, of Binghamton, NY, was arrested for stabbing 26-year-old Gerrard Davis to death last week. They couple had a long history of domestic disputes where both have been the aggressor. Two children were found in the home when police arrived and found David bleeding profusely. He died later in the hospital. Liz is in jail awaiting trial for second degree murder. 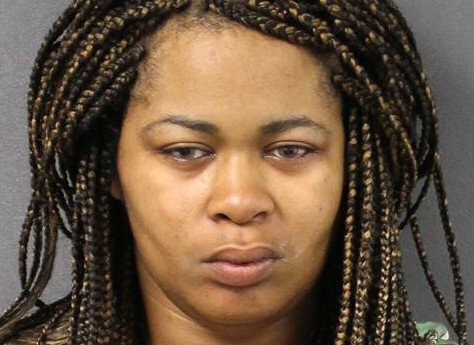 Meanwhile, in New Jersey, Briann Lindsay, a 25 year old mother of three stabbed her boyfriend, Christopher Johnson, 35, to death in their home, in front of the children. Briann had just had a baby 6 months earlier. He sister told the court that Briann had been treated for mental health issues all of her life and had just recently went off her meds to breastfeed her baby. He lawyer is claiming she suffered from a bipolar moment when she killed her boyfriend. She is awaiting trial. Marie Chamblis, a Racine Illinois resident, stabbed her boyfriend in late March but he lived. Police were called to their home where they found them both naked and bloody in bed. The boyfriend had found a picture of a naked man on Marie's phone and an argument ensured during which he was stabbed in the eye and chest. What may be the most interesting fact in this case is that Marie had previously spent five years in prison for an earlier stabbing death she was responsible for. She is still in jail awaiting trial.